It's a bit precarious at the minute as I only have half the bolts and they're not quite the right size but what's life without a little danger? 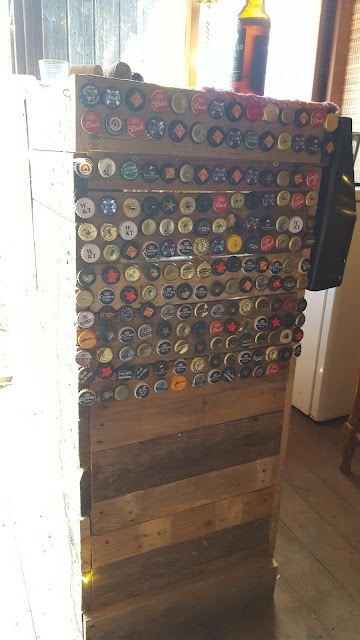 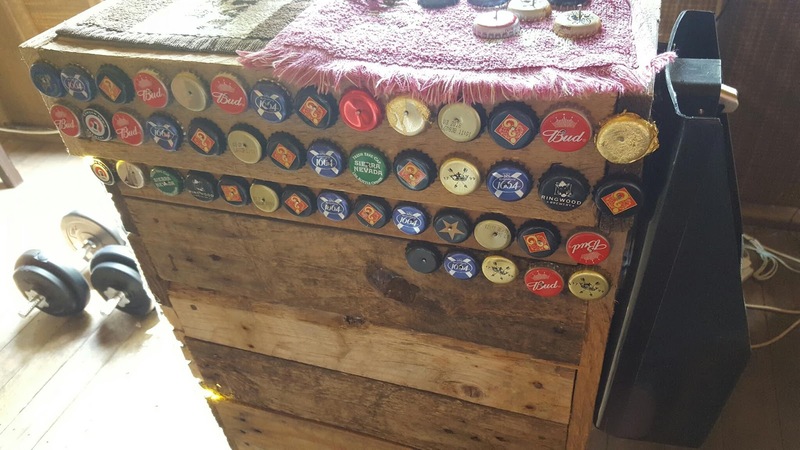 Also nailed all of the bottle caps that were in the bottle cap holder to the side of the bar. 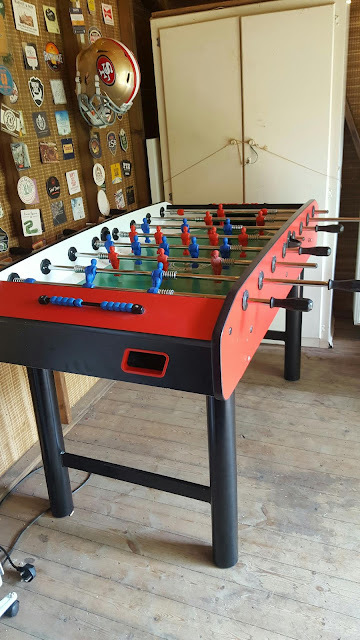 I think it looks pretty good.